Precious metals and fabrics such as cashmere and silk feature in a 150-piece lifestyle collection by Hong Kong architect André Fu, that will launch at Milan design week. Called Modern Reflections, the lifestyle collection of homeware and decorative accessories includes a wide variety of furniture, tableware, blankets, throws, stationary, lighting, bedding, rugs and more. All 150 items will be presented at this year's Salone del Mobile, which takes place during Milan design week. "I enjoy the vibrancy and the energy of the city during the Salone period. I genuinely believe it is the perfect time and place to showcase the point of view that my brand wants to express," said Fu, who was a judge at the inaugural Dezeen Awards. 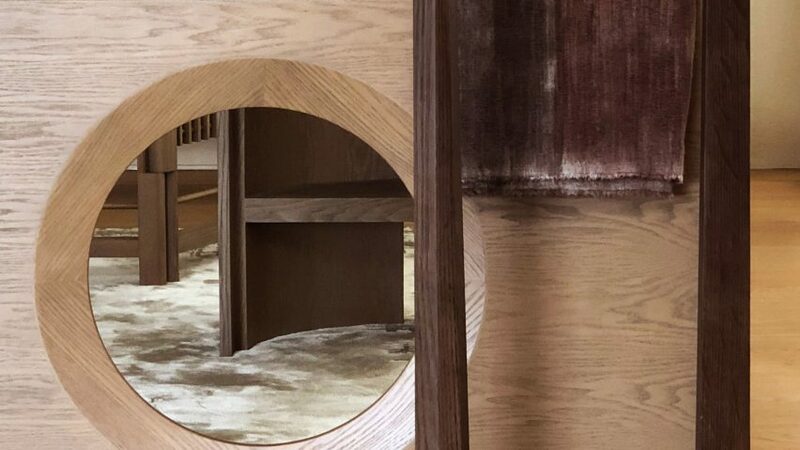 The collection is part of the eponymous André Fu Living brand, which the Hong Kong designer launched in 2016 as a collaboratory effort with a select group of artisans. This most recent collection uses Fu's experience designing interiors for luxury hotels and restaurants at his primary studio AFSO, to create an extensive series of items that aim to convey "understated elegance". "I wanted to challenge myself with the curation of a standalone lifestyle collection of homeware and decorative accessories, encapsulating the key elements of my style and having the goal to create something that is tangible," Fu told Dezeen. The blankets and throws, for example, are handmade in Italy using materials such as cashmere and silk, while three different tableware collections feature fine porcelain and hand-painted gold accents. Hand-stitched leather trays and silk scarves also feature in the collection, as well as lighting made of anodised brass and cast glass. "It is somewhat a celebration of the many things I have learnt from the world of hospitality – to create a backdrop that revolves around everyday life," he said. "The key difference is that hotels are spatially driven, whereas the world of homeware is meant to immerse you in an environment," he explained. As well as drawing on Fu's experience designing interiors, the collection also refers to his personal childhood memories of "significant places and different cultures". "We are living in a digital era with constant social media distractions, unlike the generations before us. It is important to be able to step back. This means having time and space to reflect on our personal journey," said Fu. "This echoes my strong belief that we need to learn from the past in order to foster creativity. To me, true luxury is in the experience and not just the aesthetics," he explained.